2. 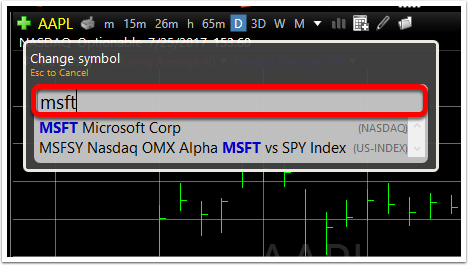 Click Search for Symbol/Company. 3. Type the name of the symbol/company you would like to find. 4. 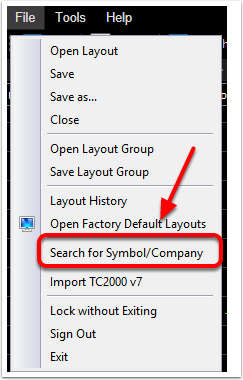 Click the symbol/company from the drop-down menu or simply press the enter key. 5. 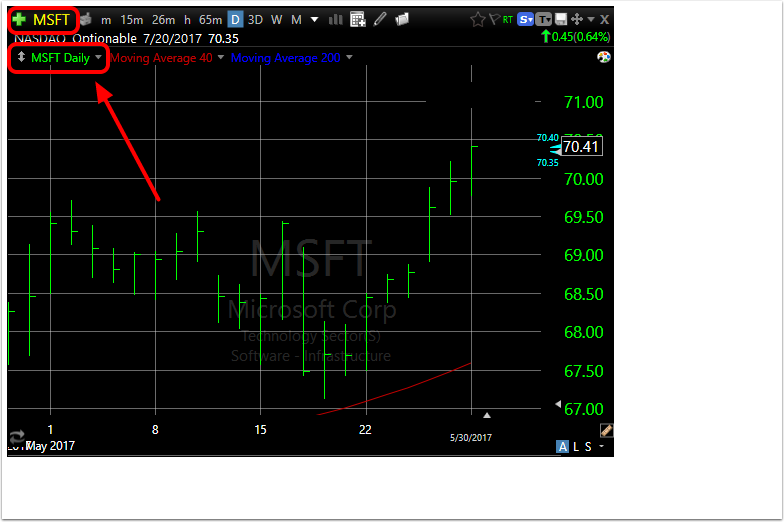 The symbol/company will now appear on your chart. You may also start typing the first few letters of the symbol/company you are searching for while looking at the chart and a drop-down menu will appear.